Putnam County Playhouse: SHAKESPEARED! on SATURDAY!! The Shakepeared! 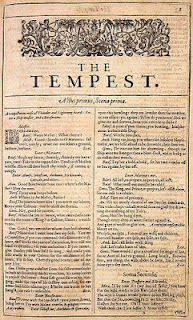 production of The Tempest will be Saturday, June 30, at 7 p.m.
Tickets are available only at the door. Admission is $3 for those 12 years old and up. Admission is free to those under 12 years old. Tickets are general admission. First up will be the middle school group directed by Alisa Isaacs-Bailey. Featured in this version of The Tempest are Hannah Williams, Chloe Bodnarick, Djasi Falcon, Addison Hughes, Joe Hettinger, and Ben Gellman. Appearing in other roles are Simon Foss, David Maginity, Emma Newton, Lindsey Bridgewater, Jon DeHaan, Corinne Buchanan, and Liam Guinee. Rounding out the cast in the middle school group are Jakob Foss, Zander Williams, Emma Huber, Shianna Alexander, Zoe Wilson, Tyler Hopper, Mackenzie Wilson, and Madi Woodall. Assistant Director for this group is Bethany Bax. Working on the technical side are Lauren Good, Jacob Bax, and Cecily Bax. 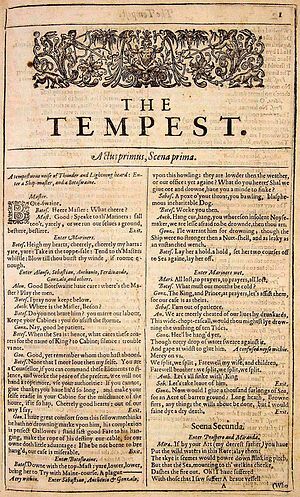 After a fifteen-minute intermission, the high school group directed by Caroline Good (who adapted both scripts from Shakespeare's text) will take the stage with Tempest in Paradise. Actors in this group include Ethan Gill, Dominique Lafontant, Hannah Gellman, Logan Beck, Cody Warren, Joe Pejril, Lukas Eckrich, and Dylan Bodnarick. Appearing with them will be Joe Lippard, Abby Cheek, Madi Egold, Mary Pearl Ivy, Chloe Maginity, Abbie Harms, Sammy Batchelor, and Libby Brush. Completing the cast are Mary Allen, Ciara Lippard, Caleb Guthrie, Elise Merrell, Corrinne Trigg, and Fiona Good. Assistant Director for the second group is TJ Tincher. Choreography is by Heather Owens. Technical assistance is by Lauren Good and Jessica Maginity. Island Jewelry is by Jessica Masner. Sponsored by Duke Energy Foundation. CLUE: THE MUSICAL OPENS THURSDAY, JUNE 7! !